The slotted carton is the most basic type of box in the transport package and it is also the most widely used type of carton. It consists of a piece or pieces of processed corrugated board, which is a combination of stapled or bonded cartons. Its bottom and top flaps (upper and lower flaps) form the bottom and the lid. Such cartons can be folded and laid flat during transportation and storage, and have the advantages of small size, convenient use, sealed and dustproof, and clean interior and exterior. The nested carton consists of one or more pieces of processed corrugated cardboard. The feature is that the box and the lid are separated, and the sleeves are used when they are used. The advantages of this kind of carton are that it is convenient for packing and sealing, and it is not easy to fall off after the goods are loaded. The overall strength of the carton is higher than that of the slotted carton. The disadvantage is that the sleeve is of a large volume after being synthesized, and transportation and storage are inconvenient. Folding carton, also known as a special-shaped carton, is usually composed of a piece of corrugated cardboard, which is folded to form the low, side, and lid of the carton without being stapled and glued. A. Baffle: For packaging of fragile and fragile items for bottles, separate each item in the box to prevent shaking and collision. B. Lining: Lining is basically made of three, one is a full liner, used for layered stacking for multiple layers inside the box. The second type is the bridge lining plate, which is used to cover the gap in the carton. The third type is liners. In order to improve the compressive strength of the carton and protect the goods, the liner is surrounded on all four sides of the carton. C. Liner: According to different shapes and weak parts of the merchandise, a variety of liners are designed to fix the merchandise to ensure that the merchandise will not move in the process of transportation, but also has a buffering effect. 1, light weight, good structural performance. The corrugated structure within it is similar to an arched structure, which can play a role in anti-shock and shock absorption, and has good mechanical properties. 3, low transportation costs, and easy to achieve the mechanization and automation of packaging and transportation. 4. The change of specifications and dimensions is easy to implement and can quickly adapt to the packaging of various types of articles. 5, sealing, strapping are convenient, easy to automate operations. 6, can adapt to various types of carton decoration printing, can be a good solution to product protection and promotion issues. 7. The waste bin is easy to recycle and meet the environmental protection requirements. 8, can be combined with various coverings or moisture-proof materials, and greatly expand its scope of use. It is essential for cat owners to have cat litter box at their home, as cats are self-maintained pets that go to toilets by themselves. 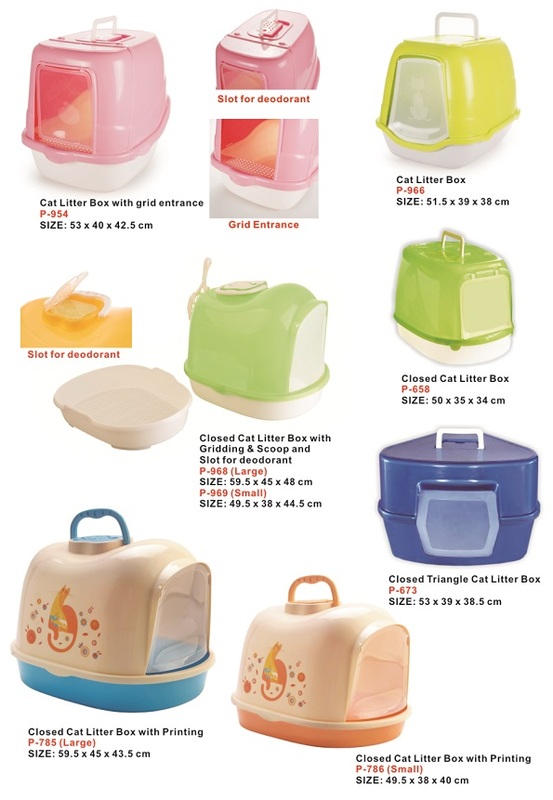 We supply many different sizes and shapes of cat litter box in our range that you can fulfill the needs of different cat owners. 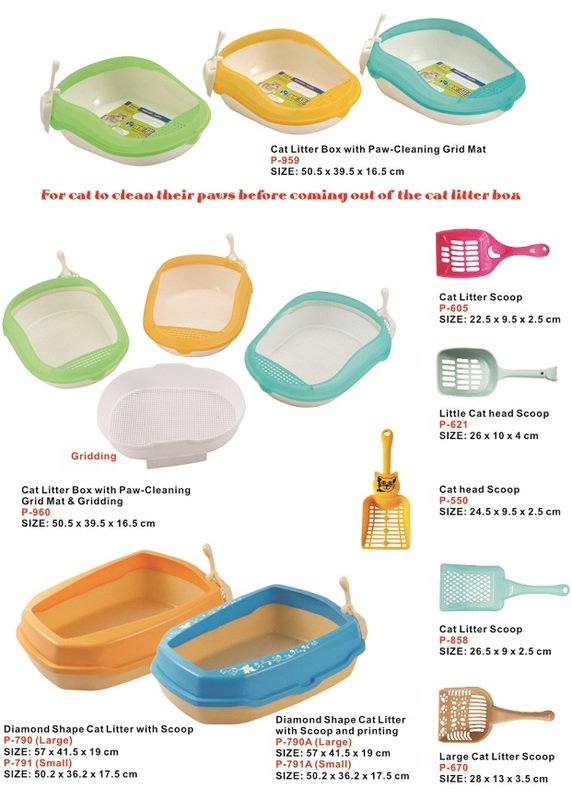 Cat litter scoops are also included in the range to go with the cat litter box. Cats naturally groom themselves, however, we also provide cat slicker brush with round pointed tips for cat owners to groom and massage their cats at the same time.